RF foreign ministry says "verbosity of Kyiv strategists only stands in the way." Russia did not give consent to the deployment of armed police mission in Donbass, as the representative of the presidential administration of Ukraine Kostyantyn Eliseev previously said. "For the discussion of these issues we have traditional formats First of all, this is the contact group, which will meet in Minsk, and the OSCE, that should take the relevant decision," Russian Deputy Foreign Minister Grigoriy Karasin said as quoted by Interfax. Responding to a question about whether Russia agrees to the deployment of the OSCE mission, he noted that Russia "has not given such consent yet," adding that in this case the "verbosity of Kyiv strategists only hinder business." The police mission is one of the key conditions for the local elections to take place in Donbas. 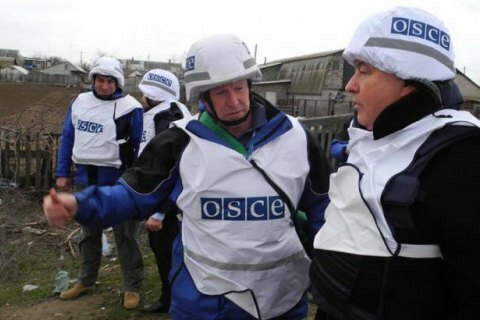 OSCE said it was ready to implement the idea of placing the mission if all parties agree. Earlier, Russia strongly opposed the armed mission. Russian Foreign Minister Sergei Lavrov dismissed the security problem as far-fetched and said that unarmed OSCE monitors will be enough to vote. After the next negotiations in "Norman format" Russian President Vladimir Putin said that Russia agreed to the deployment of armed observers, but, as the Kremlin explained later on, only on the front line. Earlier Today, the deputy chief of presidential staff Yeliseyev said that after the latest round of Norman Four, the Russian side agreed to the deployment of armed observers. Although, according to him, the details have not yet been discussed. Consultations on the matter are to begin soon in Vienna at the level of permanent representatives of Norman Four countries.